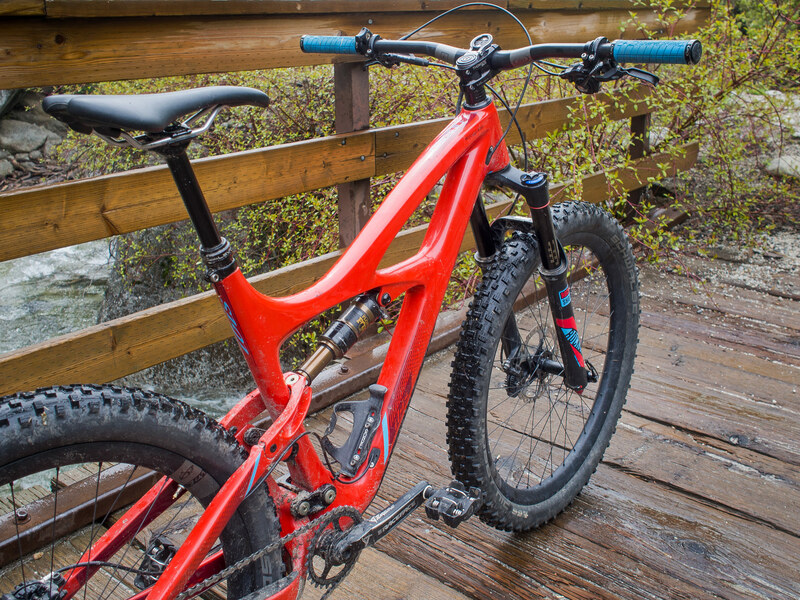 Ibis Mojo 3 First Ride Impressions - Is It "Next Bike" Worthy? Move over Lane Bryant, there is a new plus sized game in town, the Ibis Mojo 3. I’ve been anxious to swing a leg over the new Mojo 3 since it was announced earlier in the year, and took advantage of the Salt Cycles demo event this week down in SLC. Given my limited experience with the bike, this is no way meant to be a comprehensive review. One ride is simply not enough time to acquaint oneself with a bike, especially when so many variables are in play, and in this case, an entirely new wheel size to sort out. As part of the demo day, Salt Cycles was running people up to Temple Quarry. 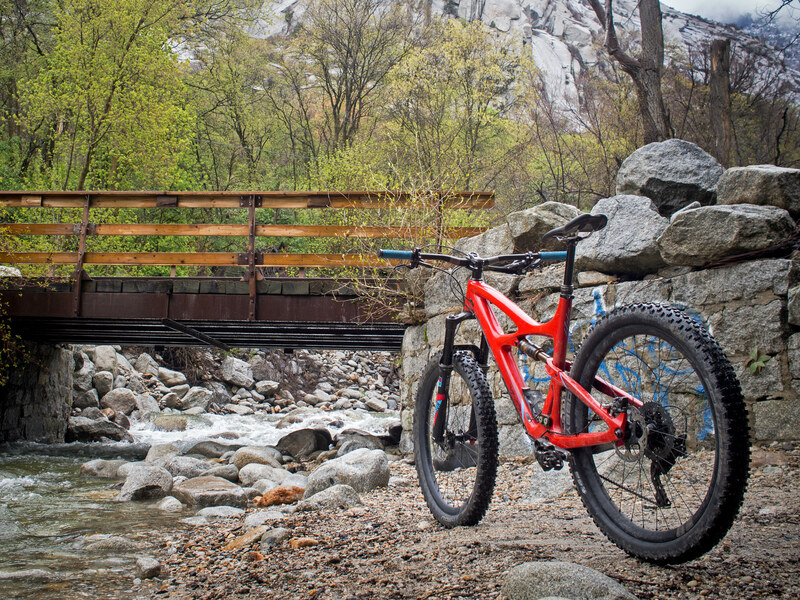 It’s been a rainy week here in the Wasatch, and Temple Quarry is one of the handful of trails that’s rideable in the muck, and in many ways, is better when wet. Admittedly, I don’t explore the valley trails as often as I should, and was stoked to get down to ride in LCC. I’ll assume you’ve done your homework and are somewhat familiar with the Mojo 3. 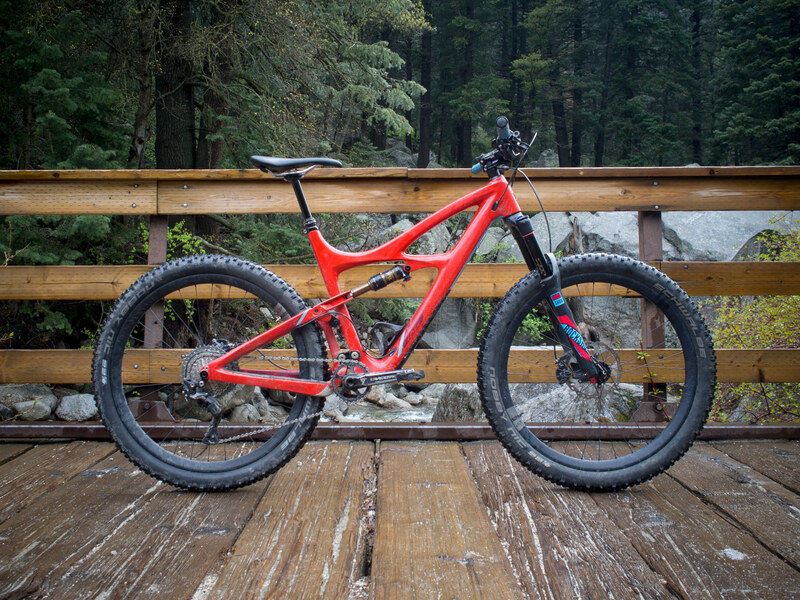 As such, you already know that it’s a 130mm trail bike, with the latest Boost spacing making it not only capable of running up to 2.8″ tires, but designed with plus-sized intent. Sporting a 66.8 degree head angle this bike sits between the HD 3 (66.6) and the Ripley LS (67.5) in Ibis’s lineup. The bike itself is a thing of beauty. While my personal preference leans toward matte finishes, the glossy fire engine red paint job paired with the matching blue and red RockShox Pike fork make for a fast looking machine which I’d have no issue proudly calling my own. Details such as the integrated downtube rock guard, chain stay protection, and super clean cable routing certainly don’t go unnoticed. Also, big props to Ibis for going with a threaded bottom bracket. At 5’9 I’ve always ridden medium bikes, however, I was sent out with a large Mojo 3, which seemed to fit pretty well – plenty of stand-over and I never felt stretched. The only place the larger size was noticeable was in the seat post length, which even with the 150mm KS Lev slammed all the way, was still too high when fully extended. According to the Ibis size guide, I’m right on the cusp of medium/large sizing, so I’d definitely want to try a medium before a final purchase. 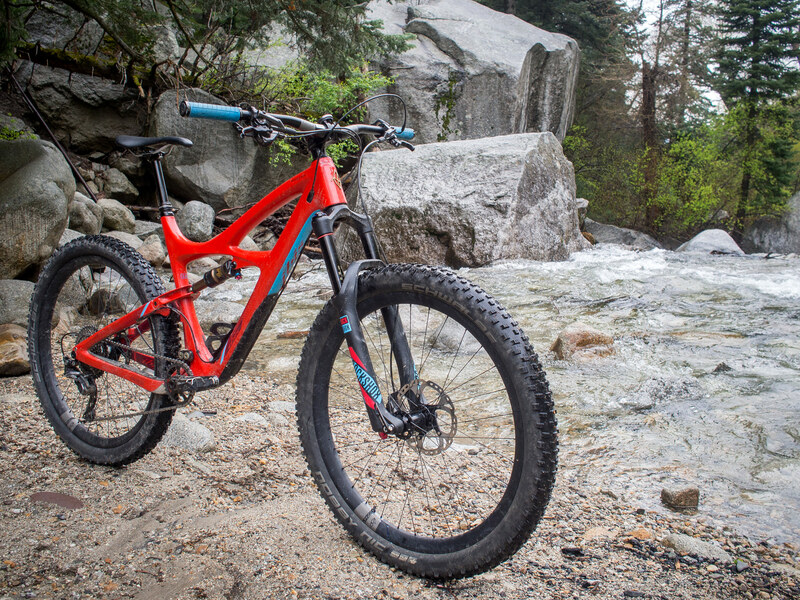 The feedback I’d been hearing and reading was that the Mojo 3 was the first plus-sized bike that offered the advantages of plus-sized tires without the negative handling effects that commonly plague plus and fat sized tires. With more rubber, there’s naturally more surface area to bounce off of as well as increased rolling weight which can make such bikes unwieldy and piggish. Out of the gate, the Mojo 3 displayed neither of these qualities and was surprisingly sprightly for it’s class. Even on a very wet day, the traction offered from the plus-sized tire / DW-Link combo was immediately apparent. 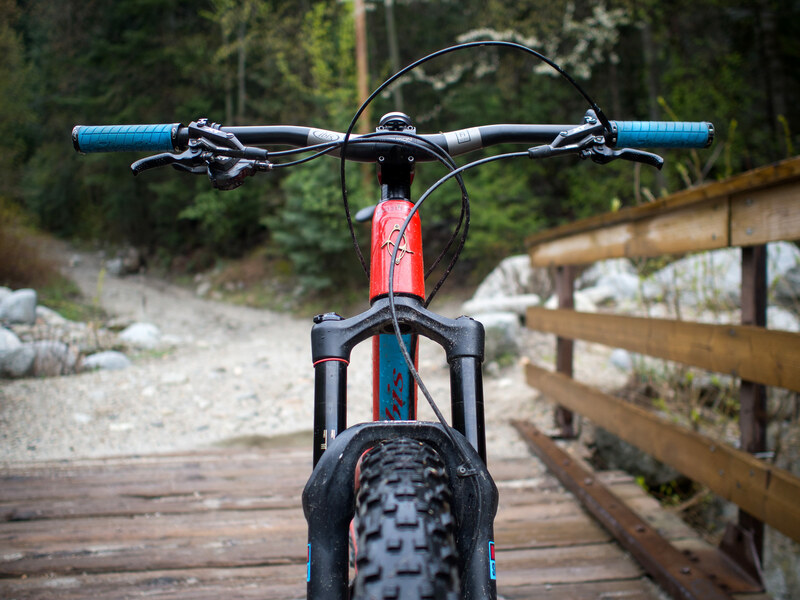 As long as you keep the pedals turning, the Mojo 3 is ready and willing to climb up and over whatever you put in it’s path. Temple Quarry lacks steep technical climbing, so no comment on whether the front wheel stays put or tends to wander on such a trail. On the way back down, I never managed to push the bike enough for a solid takeaway regarding it’s capabilities. Overall, the bike felt very balanced and didn’t hint at being slow or sluggish when changing direction. Temple Quarry is mostly a straight shot, so not the best venue for judging the quickness and cornering ability that is supposedly offered from the Boost spacing and compact rear-end. There were a few instances of the larger tires unexpectedly grabbing a rock or two that would have otherwise gone unnoticed with smaller shoes. While the bike is more than willing to pop-off bonus lines found along the trail, it’s not difficult to blow through the travel if you get a bit sloppy. I had a blast aboard the Mojo 3. While it’s certainly worthy of a hook in most anyone’s garage, I still can’t help but feel it’s an “in-between” bike. 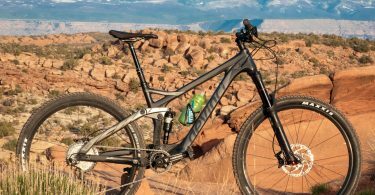 Aggressive enduro team riders will no doubt opt for the Mojo HD3, while those looking for a fast trail bike with all-mountain chops would seem better suited aboard the Ripley LS. I’d love to spend more time with the Mojo 3 and see how it performs across a variety of trails, as well as swap out the 2.8’s for some smaller rubber. Perhaps then, the bike’s full capabilities and place in the spectrum would really come to light. 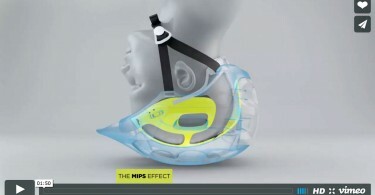 Wanna try out the Mojo 3 for yourself? Salt Cycles is an official Ibis dealer. Give them a call today at (801) 943-8502 to arrange for a demo. As a side note: Every Ibis I’ve ridden has been spec’d with a KS Lev dropper post. All I can say is that if I never ride a bike with a KS Lev again, that will be alright with me. I’ve found the Lev’s lever action to be stiff and resistant to input, and often the saddle gets stuck in position. Granted these are demo bikes, but demo bike or not, I’ve never experienced similar issues on bikes with Reverb posts. 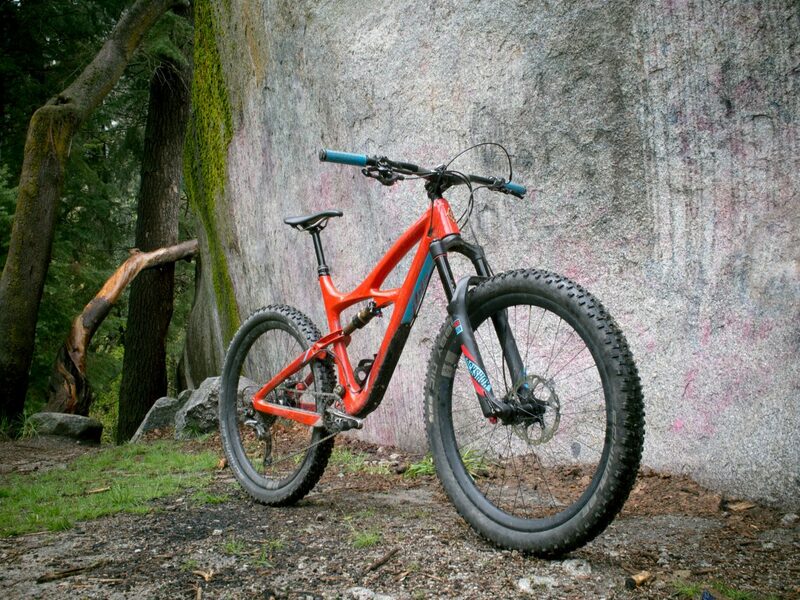 If anyone from Ibis is out there reading this, please start specking your bikes with Reverb posts!